Hydroponics is a system that grows plants in water without making use of soil. An inert medium such as clay pellets or gravel is used for anchoring the plants. The need for soil is eliminated because the roots of the plants grow through the medium in downwards direction and absorb water that’s laden with nutrients. A rectangular container, which is 4 to 6 inches deep is fit with a piece of Styrofoam. Holes are made in the Styrofoam for holding the plant and the inert medium. The container is filled with nutrient-rich water and the Styrofoam floats above it. In this way, the roots of the plant are submersed in water. The water is aerated with the aid of an air stone. A bucket of nutrient-laden water, a small container filled with a medium like perlite and a hose for connecting them make up the ebb and flow system. Seedlings are placed in the container of perlite and the water bucket is raised so the water can drain into the container. Lowering the bucket drains the water back into it. Reservoirs are used in the Dutch bucket system. A bucket is used for holding a plant whereas an external bucket is filled with water and made to act as a reservoir. Water is pumped by the bucket into the plant one. The single external reservoir can be connected with several buckets. The lack of soil is the most prominent feature of a hydroponic. Plants in a soil garden get their nutrients from the soil and they die if sufficient nutrients aren’t obtained. In hydroponics, the type and amount of the nutrients received by the plant depend on the gardener. The nutrients can be renewed by the gardener after every two to three weeks and water is also recycled constantly. In this way, plants can get the required nutrients. • Static solution, which is used in lettuce raft. 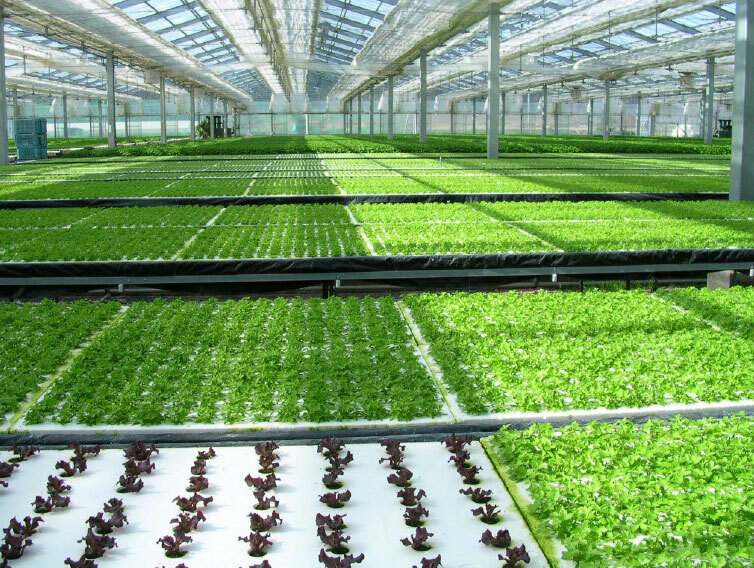 • Continuous flow, which is used in large hydroponic gardens and the Dutch system. As compared to soil gardens, less space is taken up by a hydroponic system and they can be located on a patio, porch or even inside a home. Moreover, as water is recycled by the system regularly, less amount is required in contrast with soil gardens. Apart from that, hydroponic gardens are less vulnerable to pests and diseases as they usually occur because of soil, which is non-existent in such a garden. An average gardener should give some thought to the cost of setting up a hydroponic garden. A hydroponic kit, which comes with the ‘hardware’ and nutrients can cost about $300 and those for enclosed environment can be as high as $500. However, a basic hydroponic system can be set up by anyone for less money if they have some knowledge and understanding about pumps, pipe and gardening.